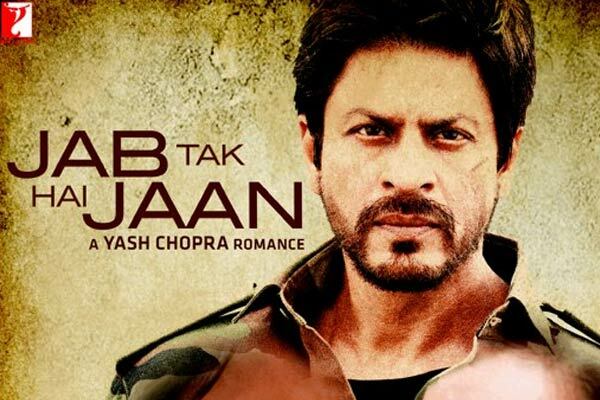 Talking about the success of Jab Tak Hai Jaan was on the shoulders of Shahrukh Khan (SRK), film producer Aditya Chopra said he was immortal and it is insignificant to talk about his age. "Actually, we are undecided at what age we think he would require to work with actress more than 30 years," said Aditya Chopra, son of the great Director Late Yash Chopra. He said "We think we like to see him running behind some 20 to 30 age group girls and not behind somebody who is in her early 30s or late 35s. By the way, Yashji after completing Jab Tak Hai Jaan was thinking of casting SRK with Aaradhya Bachchan. He was serious about her debut." Talking about why he was made an army officer, Aditya Chopra said "We actually thought making boring Army profession a bit interesting and glamorous. We also wanted to remove the stupid perception that Army Officers can't keep beared and can't resort to long hair."